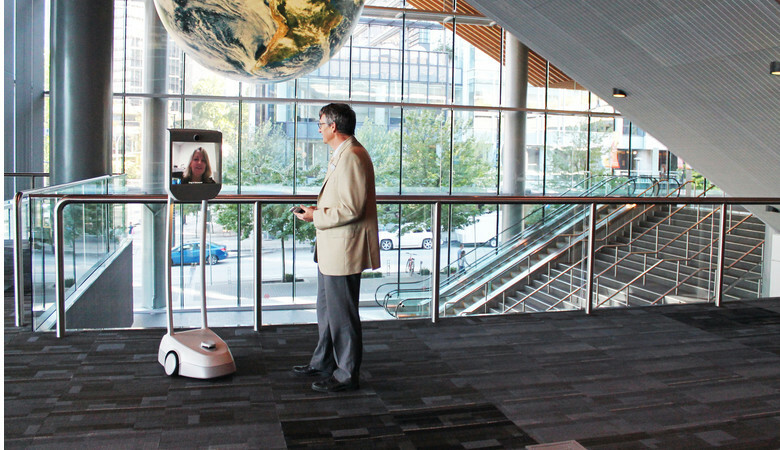 To learn more about utilizing or ordering Telecommunications or Digital Media services, contact our onsite Bell representatives at +1-604-647-7377 or rtonack@vancouverconventioncentre.com. 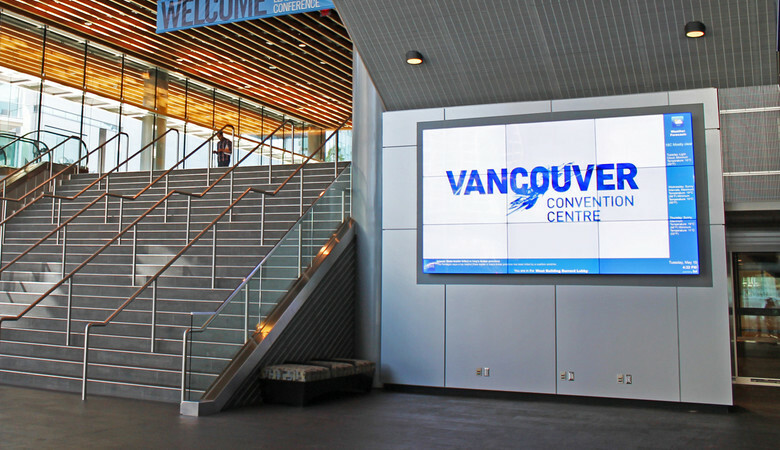 Reduce the carbon footprint of your event at the Vancouver Convention Centre by migrating from traditional printed signage to digital signage. Digital signage (permanent or portable) can be used to display important information about your brand, sponsors or schedule. We are proud to offer 88 meeting room screens throughout the facility, which are all networked and maintained with an in-house content management system. Advertise your company on one of our 55 dedicated advertising screens to promote your business or to highlight social media activity for your event. We offer 55 dedicated advertising screens that display a combination of event scheduling information, as well as local and event advertising. 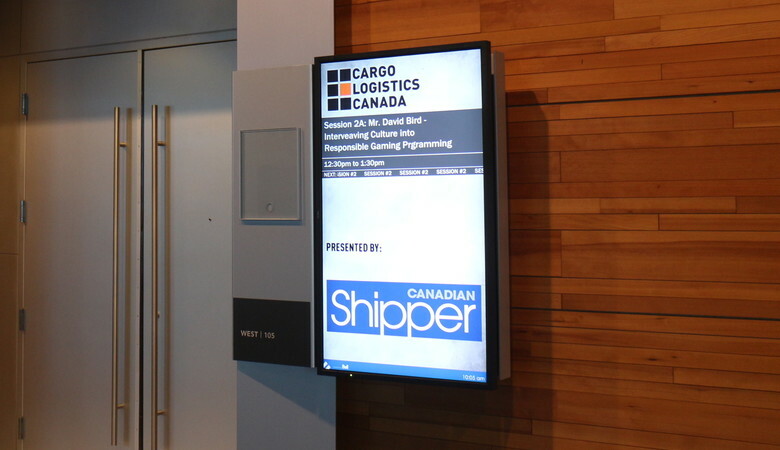 These screens range from 47″ to 65” and are placed throughout the facility in high visibility locations. Our impressive 165” ultra HD video wall provides premium visibility and maximum exposure of your message for guests in the Burrard Entrance Lobby. Availability of all advertising screens is on a first-come-first-served basis. The Beam Pro eliminates geographical barriers and allows the virtual guest to collaborate from a distance, connect, communicate and be present for important conversations. The device’s remote pilot can interactively participate to meet a variety of needs, whether it is a 30-minute presentation, panel discussion or to attend a full conference. The Beam Pro is user-friendly, as it can be easily operated with a mouse or keyboard and is easy to navigate throughout the facility.